do you need a rainbow in your life? If you have followed me on Instagram, you may have seen glimpses of the rainbow cards that I painted in the past fall and early winter. These were and are a labor of love- all hand painted. If you would like to purchase one, you can (finally!) go here. They are a bit more expensive than a typical card from a shop, but each one is painted with a thoughtful color palette on smooth recycled paper. You can send it to someone you love, or keep it and make it into a little artwork for yourself. If you are not in the market or inclination for a rainbow, I understand. So, here is something else for your Friday…. I devoured this home tour on the Mrozinskis’ house in France and am now even more obsessed with going to the South of France. Also, what a beautiful woman Sharon Mrozinski is. I loved this profile of her. Also, I once stumbled upon an instagram account of a young Australian family, re-doing and running and Airbnb in France. The finished house was so charming, I would often plan imaginary vacations there. Anyway, their house is now for sale. Would anyone like to go in on it with me? Preferably if you have 300k Euros to finance us? Or just buy it and invite me to come and stay for a month? Thanks. I hope you have a wonderful weekend, filled with real, painted, or metaphorical rainbows. 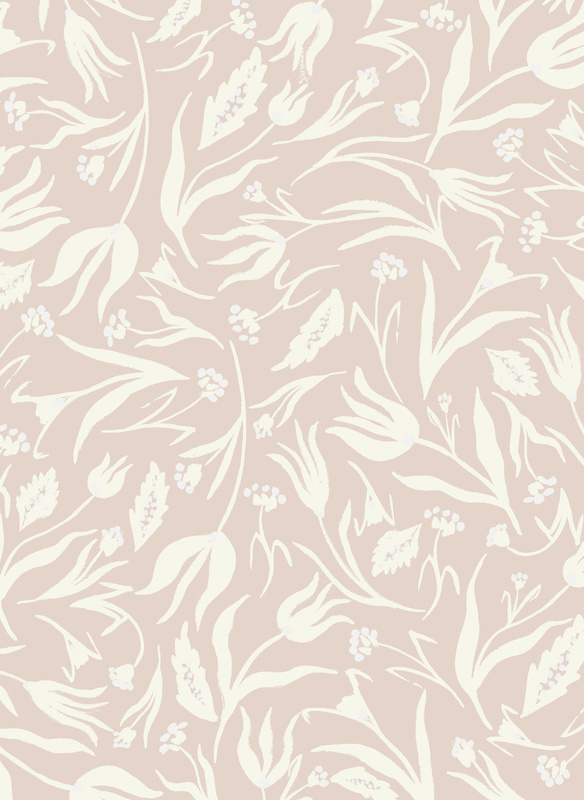 This is an old pattern of mine re-colored, and as a hypothetical pillow. This sofa situation is where I would like my imaginary pillow to reside. Also, it’s Friday! This has been a doozy of a week, but it’s Friday, and I have some things to share. Brown as a neutral interior color. The new gray? What do we think? I have to say, I’m kind of into it. And coming from someone who loves a white wall, I am rather surprised. This lovely brown fabric is what got me going on brown. And then, I read about the artist who designed it, and I loved seeing her house. Also, I very much identify with her diy spirit. My Art History heart is so happy with stories like this: Hidden painting behind a boring office wall in Paris! French kitchen soap is exactly what I need next in an effort to buy less plastic packaging. It’s Saturday, which has become a working morning for me and it is glorious. In the spirit of un-interrupted thoughts, I have some things to share for your weekend. I made this soup and it was amazing. Make sure you really caramelize the onion and fennel. Thanks Gwyneth! I am watching all the Monty Don garden specials I can get my hands on. Obsessed. And I can’t wait to start gardening again in the spring! So many ideas for my small garden. Listening to this delightful podcast. Charming, fresh, interesting. I love it! I gobbled up all the episodes and now am eagerly waiting for more. Remembering Mary Oliver and the beauty of her poetry. What a gift she was to the world. Enthralled by John Derian’s NYC apartment. The entire 18th c. Swedish wall is just the best. I visited his store on my last (long ago) visit to New York, and it was some of the best time I spent in the city. So lovely. And now, off to do glamourous weekend things like laundry and dishes and dusting. I hope you enjoy your weekend, whatever you are up to.